My Grandma Mary, my mom’s mom, was a warm and fiercely independent woman who raised three kids completely on her own. Frugal by necessity, she kept the original receipts and packaging for every purchase, and cared for her things as if she might return them to the store at any time. The year she died was the year I started law school. Katie and I took the Alaska Ferry down to Washington that fall, and I moved into a house in North Seattle. At the same time, my family was working on clearing out Grandma’s house to put it on the market. I had no furniture, and because of the timing rather than a bequest, I was the lucky recipient of Grandma’s couch. 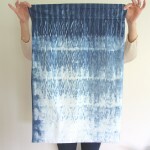 As you will soon see, the kantha quilt is there by necessity. In Grandma’s house the couch was in the parlor–a fancy room in an otherwise unfancy house. I really only remember one thing about the couch in her house: it was covered in plastic. 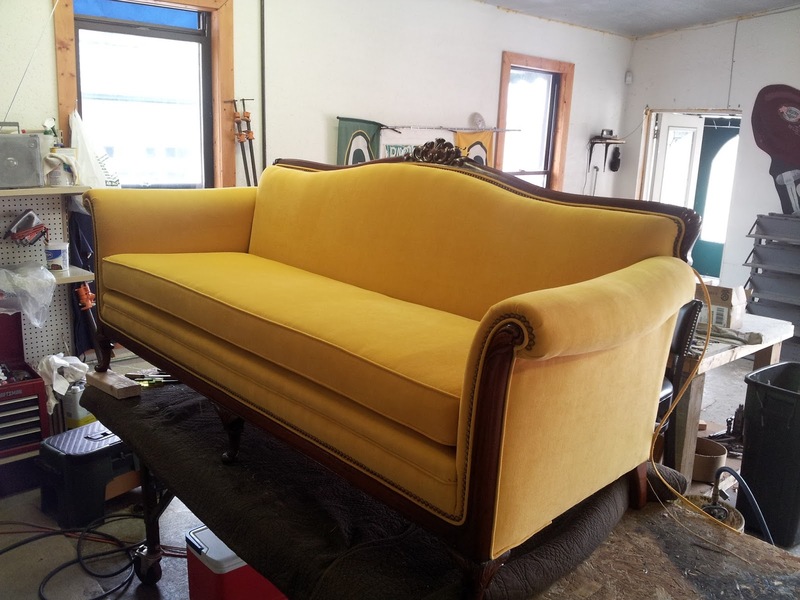 When I got the couch, it was gleaming white, not a stain, smudge, or loose thread. 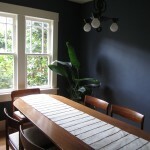 In my house there is no room reserved for things that are fancy, no parlor or formal dining room. I didn’t keep the couch covered in plastic. 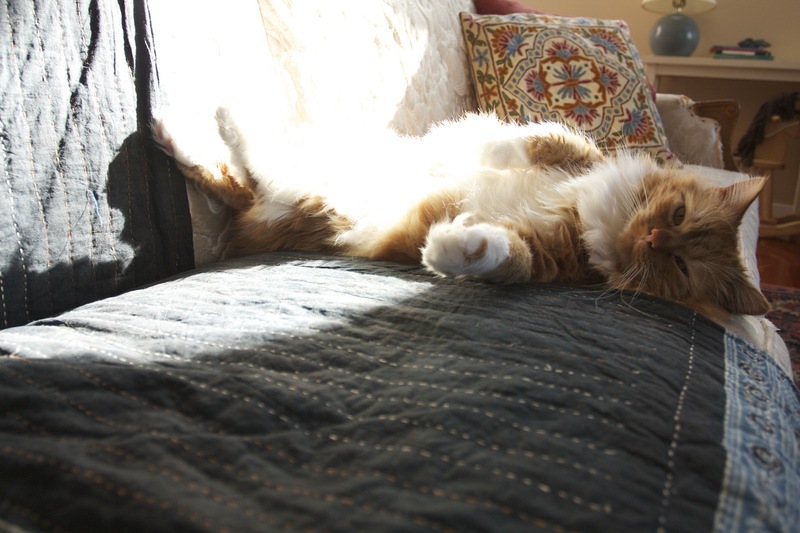 I did try for a brief time to keep the animals off the couch, but that didn’t last very long. Because really, I like to cuddle with my animals, and where better to do that than the couch? But the lack of plastic plus creatures has taken its toll. This is Winnie. She came to us just two weeks ago and is already making herself at home on Grandma’s couch. Officially we are fostering her, but I think we all know how this story ends. I cringe when I think about how carefully my Grandma preserved this couch for all of those years, and what a symbol of accomplishment it must have been to her. 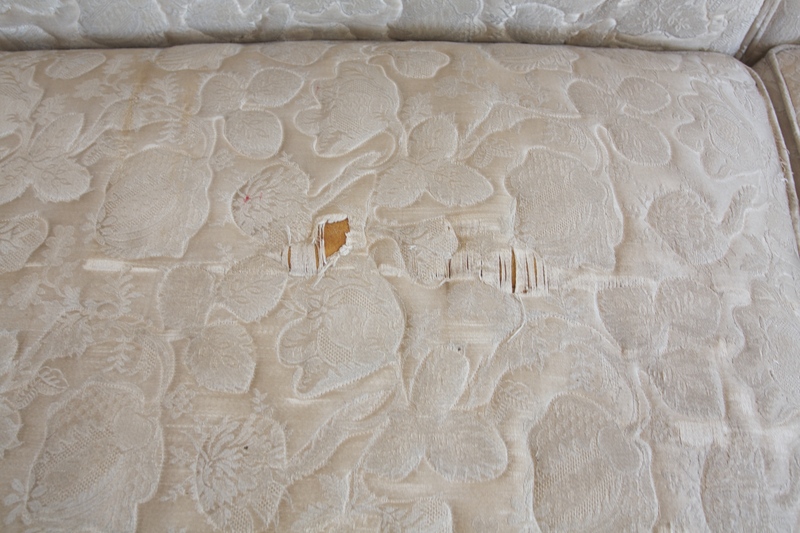 In the thirteen years I’ve had it, the upholstery has torn in multiple places. I’ve flipped the cushions to hide stains, only to reveal an earlier stain that I’d dealt with in the same way. My dog Cora, smelling an ill-fated dobbin, chewed off most of the trim to get to the glue. It may have seen better days, but I do cherish this old couch. I love its swoopy lines and carved feet and arms. I love that it’s long and comfortable enough for a nap. Most of all, I love that it belonged to Grandma Mary. I like to think that my daughter is touching the same spot that Grandma Mary did, even if it is with peanut butter smudged hands. Dust bunnies have been known to grow to epic proportions in my house, but that particular blob of fur you see under the couch is Wolsey. I hope that Grandma would be pleased by how much we love this couch, even if we show that love by using it instead of keeping it perfectly preserved. The kantha quilt covers the worst of the tears and for now I like the way it looks tucked into the cushions–it goes with my world-traveling granny chic style. But reupholstering the couch is a project for the not so distant future. Obviously I need to use a durable fabric, and even then I can probably only reasonably expect another thirteen years at the rate we’re going. I love mustard, condiment and color alike. The color of this couch is insane and that is fine by me. I like the single seat cushion, but this one has a marine upholstery look to it that isn’t particularly inviting. Down wrapped foam is probably the way to go. He may look sweet and defenseless, but he keeps his claws sharp as quills. Linen doesn’t stand a chance. Remember Ruthie Sommers’s amazing couch from the inaugural edition of Domino? This cover is from 2005, which I think proves that a bold choice is sometimes the most enduring. And look, she has a dog too, right? (I acknowledge that a dog is not the same as two dogs and two cats but still). I would love to do something like this, but it would mean all new everything to pair with it, and that I’m not up for. Again, the raw wood. 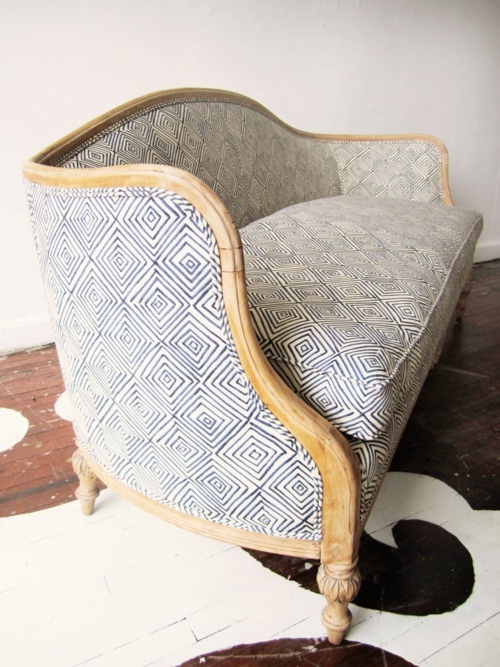 I’m also crazy for the way the hand-drawn looking geometric print contrasts with the formal stature of this classic couch. Plus the pattern would help to conceal inevitable stains, and the blue and white would fit right in in my living room. I think Grandma would like it, too. How do you balance real life, stains, snags and all, against having beautiful and cherished furniture? Care to vote on which option I should lean toward? I’d love to hear your opinion on this one! Hi Mera, what a great couch!! I actually thought the first picture – like a patchwork was the covering for your couch. I love those patchwork chairs and seat covers. Your choice of the last geometric design is also intriguing – you have so many choices / a challenging decision. That Winnie is darling. Thank you, Netzy. A challenging decision indeed! Winnie really is a doll, I’ve fallen hard for her already! I love this couch, its fine lines and its sturdiness – and the way you write about it with humor and grace! 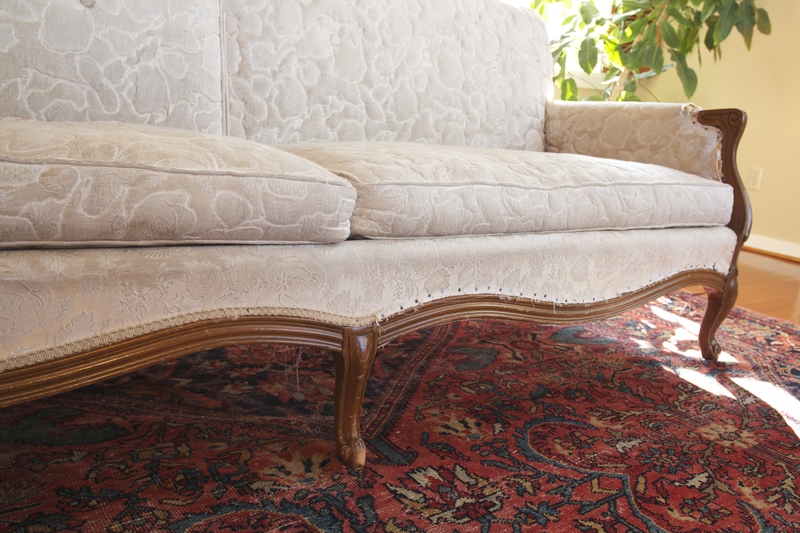 Your way of addressing this couch seems very emblematic of your style – making the old distinctively your own. 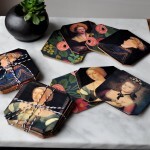 Winnie and Wolsey (and Cromwell and Cora) will have opinions, but they trust you to pick something enduring AND comfy! Thanks, Katy! Luckily the fur bearers in the house aren’t too picky. 🙂 I do look forward to sprucing it up soon! I remember your Grandma Mary and her chickens, in Portland before it was Portlandia. I too treasure the pieces of my grandmother’s furniture and china I inherited. And, like yours, they’re adapted to my life. Limoges China and elegant 1890s sterling mix on my tables with hand thrown pottery and sippy cups. A sweet, little walnut boudoir chair with a once upon a time lovingly needlepointed seat now sits beneath a high bathroom window so our elderly kitty can jump to it, onto the bathroom counter, to the sill and out to his roof top perch. I like the idea of stripping the couch wood to a natural color and I like the printed fabric, single cushion couch from Chairloom. 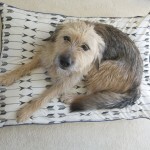 And Winnie, she’ll be welcome on my couches if she comes to visit! Grandma Mary grew and ate much of her own food, and walked most everywhere–she was ahead of her time, and definitely ahead of Portlandia! I love your description of the inherited boudoir chair, and the use that you put it to. Thank you, Susan! You have such a great way of making us care about this couch. 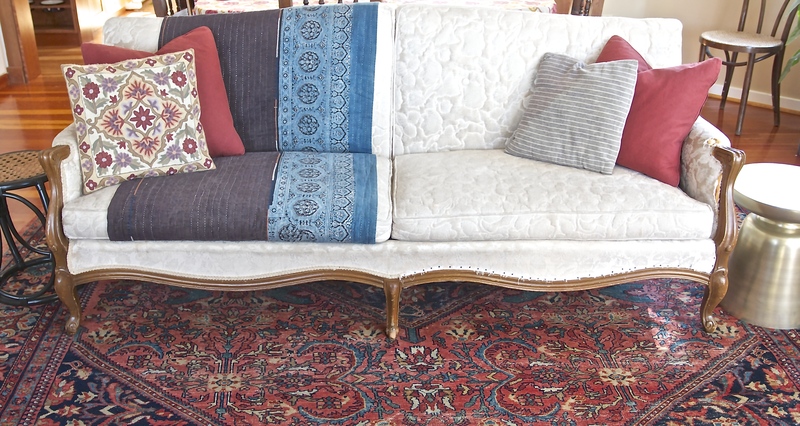 It has a good life – this couch that’s so loved and so lovingly used. It’s hard to find a comfy fabric that animal claws won’t have a field day with. I’m always a fan of neutral, because you will probably end up putting other stuff on it, like quilts and luxuriating animals and children and dads. But if I had to vote for my favorite couch, it might be that red one on the magazine cover. 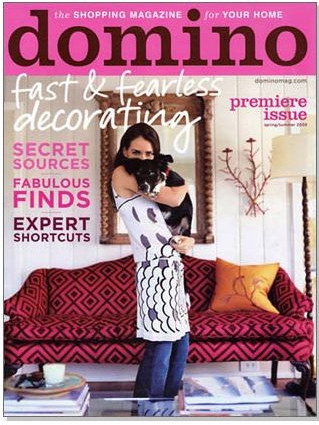 The Domino Magazine couch is a real stunner, I agree! I’ve had good luck with velvet as a relatively cat-proof fabric, but this couch is so feminine already that I think velvet would push it over the edge. It needs some contrast I think. Thank you, Carol! A great couch made even better by a great story. I’d vote for a pattern, better to hide stains and fur as you said, and the raw wood. The contrast of the modern pattern with the classic lines of the couch is so interesting. Will this be a DIY project? And Winnie…yes, I can just imagine how that story works out. She’s adorable! Thanks, Michelle! I agree, the couch needs a fabric that will balance out its traditional and feminine lines. 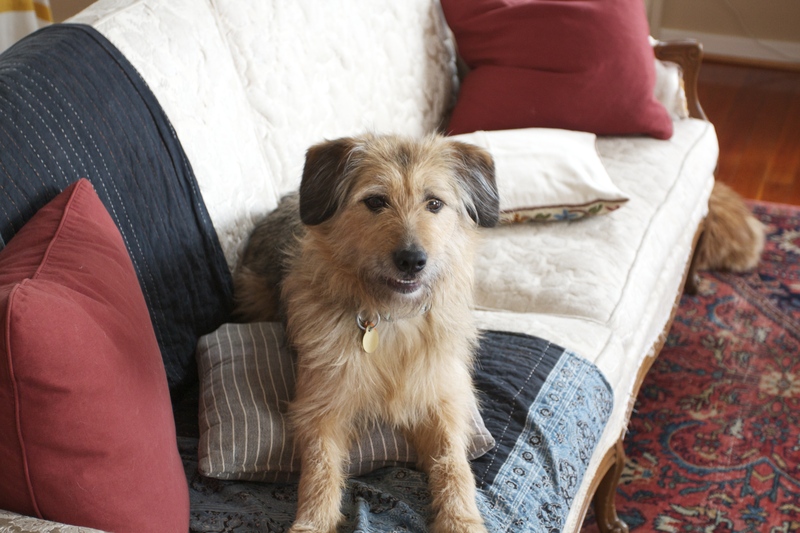 And Winnie, she’s a stunner . . . and I’m a sucker! I am with Susan. 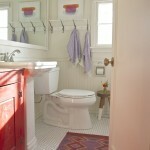 I love the patterned fabric with the natural wood. But, I am reading that as pretty white still..in my house it would show signs of wine, tea, garden stowaways and baby nephew drool on it in no time. It would definitely be risky. In a way that’s a nice benefit of the couch as it is; it’s like having an older car where a ding here and there isn’t a big deal. Thanks, Heather! Um, yeah. Raw wood and a pattern, no doubt, and I would go for lighter rather than lighter. And, as you say, durable. 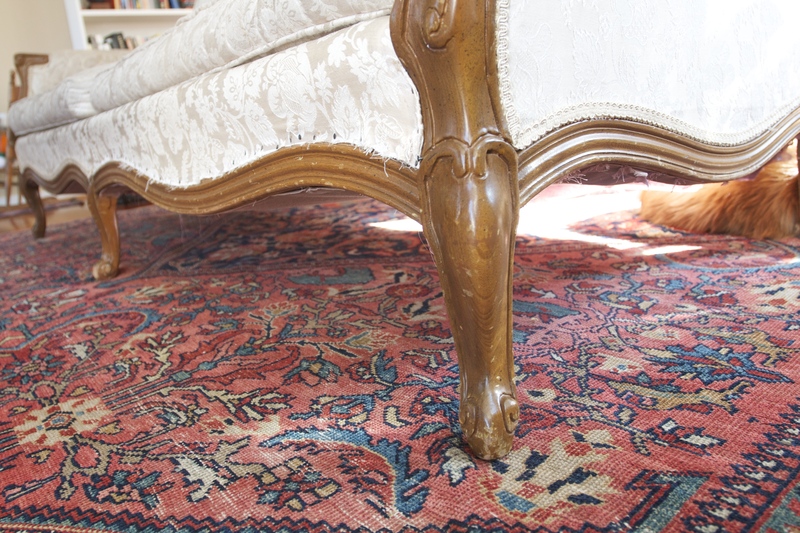 May I please have tea on it, before or after reupholstery? XOXO. Before, during, and after, my dove! Thanks for casting your vote, your opinion is valuable to me! 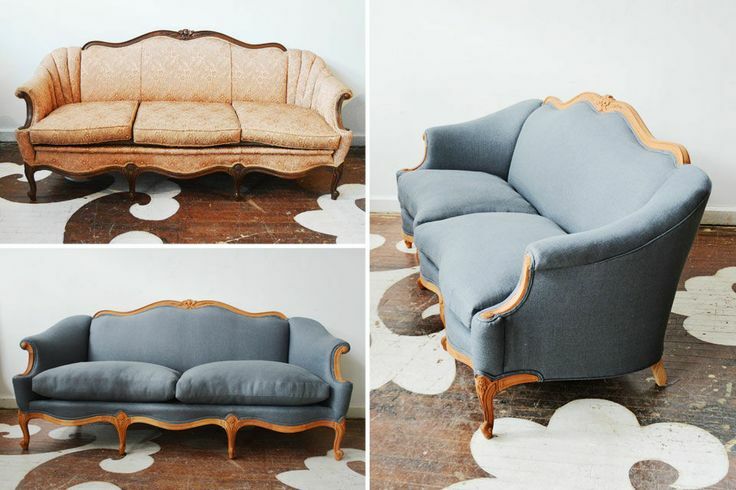 I am crazy about the last couch with the geometric print. I wholeheartedly vote for that route! I appreciate your input, and I’m with you! 🙂 Thanks, Joanna! I love that you are recovering an old piece! I too have a chair that needs done and the material has to handle the aminals! I like a bold color or the patterned blue and white! Smooches to all! Love the new dog! I too am crazy for the geometric fabric on the last Chairbloom photo. Makes me think of Katie’s block print cushion and your bleach-paint planter cover. Come to our house and help me create something fabulous! Grandma would be proud & delighted (and not show it at all, just as the pioneers would have done). PS I’m saving you lots of “before” scenes in my house. I wouldn’t want you to run out of projects. That’s true, the Pioneers probably wouldn’t have given much time and thought to such things, and Grandma would have maintained her tough-guy exterior for sure. Thanks for commenting Mi Species! 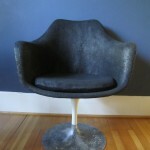 I found this post by googling something to do with my own re-upholstery job. 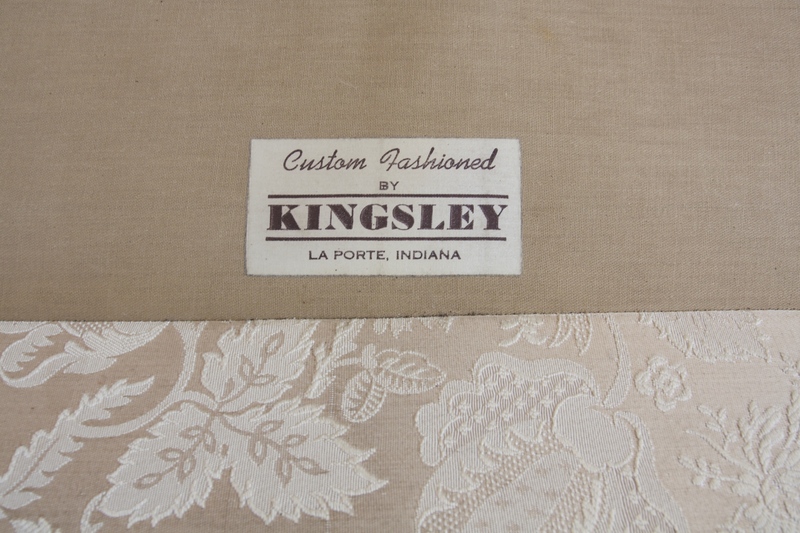 Please visit my blog about my recent Kingsley purchase. I am amazed at how closely our sofas resemble. I have never done anything like this re-do and have had my bumps along the way. You have a beautiful canvas. You will be able to keep all of the existing cushions and foam. I had to replace everything down to the frame. I chose a dark stain for the wood frame and an “Asian Bisque” colored fabric. I am not finished yet but should be finished this week.